The illegal arrival in Hamburg of a frail and devout young Chechen-Russian Muslim and his contact with members of the Muslim community sets off a warning signal to Bachmann and other agencies and an opportunity to avoid another disgraceful failure. Issa Karpov may be a militant Islamist or he may be what he says he is: a refugee who escaped prison and torture in Russia to come to the West and study medicine. He has no identification papers other than a cryptic letter entitling him to millions of dollars from an international bank. The money is an inheritance from his dead father, a onetime KGB Russian colonel, who had raped a fifteen-year-old Muslim girl resulting in her death giving birth to him. After spending time in Russia, he fled his hated father to return to Chechnya where he was arrested and tortured. Through a Turkish friend who shelters him in Hamburg, he is put in contact with an idealistic human-rights lawyer, Annabel Richter, who works for Sanctuary North, a centre offering support to immigrants and asylum seekers. She learns that Karpov has on his person a large amount of money and also a letter of introduction to the sole partner, Thomas Brue of a dodgy Scottish private bank. Bachmann is shrewd enough to believe that the young man may be a benign presence or an agent of terror but regardless he could be the bait to ensnare a jihadi finance operation. To his rivals and other agencies, Karpov is an escaped militant who must be immediately corralled. They do not need any further context but Bachmann does. Colonel Karpov, it transpires, has had access to important Soviet military secrets and, adding treason to his other crimes, has sold them for very substantial sums to British intelligence. He has taken the funds earned from his treachery to the Brue family bank, at that time under the control of Thomas’s father, and has created a special and very shady account for the purpose of laundering them. The son’s inheritance is the cash in his father’s account, and he has come, with his lawyer’s help, to claim it, but because the money is tainted he wishes to give it away to oppressed Muslims. Public knowledge of these sordid arrangements would destroy the bank and Brue’s reputation (the conflict between fathers and sons is a persistent motif in Le Carré’s novels). Similarly, Richter could be stigmatized as working for a terrorist that could shame her distinguished family of jurists and diplomats. They are vulnerable to Bachmann and his team who apply a variety of pressures, including the threat of blackmail, so as to co-opt them into participating in a scheme to introduce Karpov to Dr. Abdullah, a prominent Muslim intellectual resident in Germany. They are needed to facilitate the process of enabling Karpov to donate his fortune to various Islamic charities so that Bachmann can track what Abdullah does with it. He is suspicious that the scholar’s public voice of moderation may conceal a darker secret life and that he funnels some of the charitable money to finance terrorism. Le Carré’s A Most Wanted Man is driven by his contempt for the heavy-handed methods deployed by American intelligence in the Bush-Cheney era. 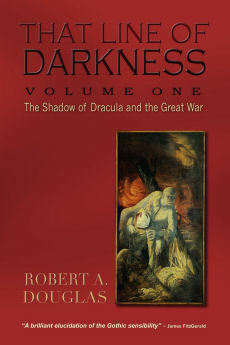 In this telling, the Americans have corrupted the German intelligence services except for the brilliant and high-functioning wreck, Bachmann, who believes (like the former agent, David Cornwell, aka John Le Carré, who was stationed in Hamburg in the early 1960s) that the best results can be obtained by deglamorizing the task of intelligence gathering. Bachmann’s superiors and rival agencies have been either co-opted or cowed as they capitulate to the harsher methods of the “cousins.” Some readers found some of Backmann’s cynical rants about how the war on terror was conducted tiresome and the tone, particularly near the end, unsubtle and too schematic, even though one of the shrillest voices in defending these procedures is that of a British operative. Most of the characters from the intelligence agencies, including Bachmann, become mouthpieces for the Bushites or Le Carré’s own views articulated in op-ed pieces, rendering A Most Wanted Man one of his angriest books. The moral heat, perhaps a tad self-righteous, did not diminish my pleasure in reading the novel. 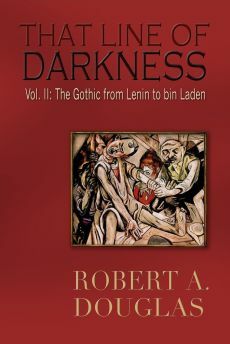 It has many strengths, including its accurate depiction of the desperation of the feuding intelligence agencies to prevent another 9/11 attack, another Madrid commuter train, or another London Tube attack. Similarly, Le Carré’s earlier Tinker Tailor Soldier Spy was inspired by his fierce outrage over Kim Philby, the Soviet mole operating in the top echelon of MI6, who betrayed his country and agents such as John Cornwell. Philby’s perfidy was responsible for the deaths of countless agents and their sources who were feeding information to British and American intelligence officers, motivated, Le Carré’s contends (in interviews), not by ideology but by an innate predisposition for and the thrill of deception. But in Tinker, Le Carré’s anger was harnessed and channelled in his art so that it is filtered through his imagination, a process that took time to assimilate since he published it in 1974 eleven years after the disclosures of Philby’s infamy. 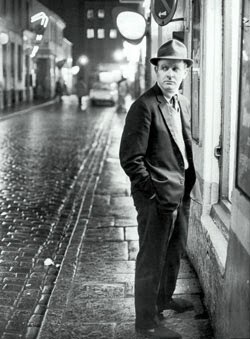 Perhaps, because of his advanced age or because he felt a sense of urgency, Le Carré allowed little time for reflection so that the current novel on the Bush era, singed in white heat over the loss of civil liberties and due process, not merely percolates, as it did in Tinker, but leaps from the pages. In their compression of the novel into a two-hour film, screenwriter Andrew Bovell and director Anton Corbijn have made wise decisions that enhance Le Carré’s underlying source material. 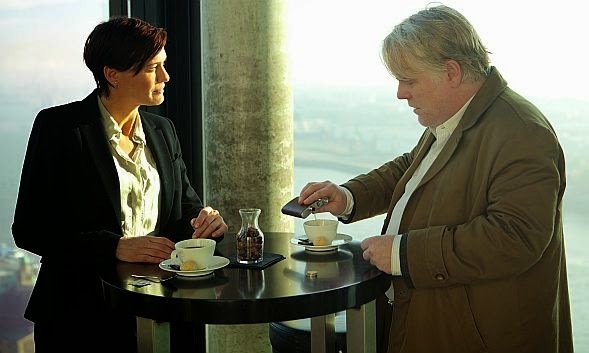 If the novel allots almost equal space to Bachmann, Thomas Brue and Annabel Richter, they have turned Bachmann (Philip Seymour Hoffman) into the central, dominant character. While everyone around him, apart from his team, are in a hurry to spirit Karpov (Grigoriy Dobrygin) off to some black site for interrogation, Bachmann, a self-described “cave-dweller,” observes, incessantly smokes and drinks scotch, and spends hours staring into monitors gathering intel. He has a trenchant grasp of human complexity and the reality that no one is either fully good or fully evil. More than in the novel, he’s not sure Karpov is a terrorist—who is much more withdrawn and quieter in the film—and Bachmann suspects there are shades of grey in the probable recipient of Issa’s money, the moderate Muslim academic Dr. Faisal Abdullah (Homayoun Ershadi), who might be giving a small part of what he collects for charity to terrorist organizations. Unlike his superiors and American counterparts, Bachmann isn’t a hasty blunderer. He understands that the better agent plays the long game and recognizes the necessity of cultivating contacts in the Muslim community, turning him, and playing on his culpability until he can force an act of betrayal, a procedure the film dramatizes much better than the novel. Corbijn does make a smooth translation from source material to film when Bachmann resorts to bullying and commiserating with Brue (Willem Dafoe) and Richter (Rachel McAdams) rendering them complicit in his operation against Abdullah. Corbijn and cinematographer, Benoît Delhomme, evoke an austere Hamburg of desolate atmospheric gloom: rain-soaked streets, shipyards, the impersonal financial district, minority ghettos and a dirty Elbe, hardly the glossy tourist postcard image of the city. A Most Wanted Man exudes the grittiness of its port setting shot in tones of steely blue and muted gold. 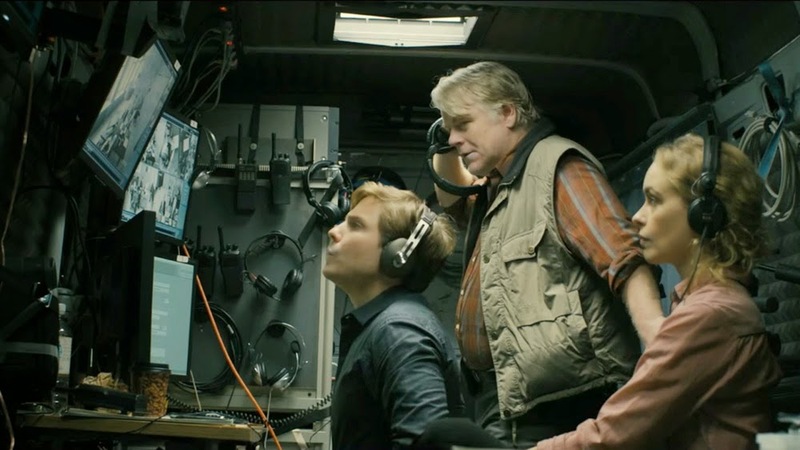 The cinematography epitomizes Carré’s bleak and morally ambiguous worldview, and his distrust of the certainty of ideology, reminiscent of Cold War politics dramatized in Le Carré adaptations of The Spy Who Came in from the Cold and Tinker Tailor Soldier Spy but that air of distrust and paranoia continues to permeate geopolitical realities years after 9/11. Although the film faithfully adheres to the storyline of the book, it is not a product of the Bush-Cheney ideological landscape, where Western democratic forces clash with various “axes of evil.” Shot during the Obama era, its ambience, tone and interpretation are more low-keyed. The political edge and emotional core of the novel has been softened, perhaps even diluted, lending itself a more somber, melancholic mood. The film attempts to avoid designating any of the characters as villains. Rather they are all shaded grey and morally compromised. Even the CIA official, Martha Sullivan, a company “observer,” veils her sympathies as she seeks to charm Bachmann through a series of cat-and-mouse exchanges: she understands his need to redeem himself and to not be constricted within a narrow time frame, but given Le Carré’s world of espionage where empathy and ethics have no place, we can hardly trust her. The wonderful Robin Wright (House of Cards) is inscrutable as the savvy American. Their conversations skillfully suggest the sinister undertones that may or may not telegraph what happens at the end. The character that comes closest to being a villain is the German Intelligence chief, Dieter Mohr (Rainer Boch) even though deception and betrayal are integral to that clandestine world. As already suggested, the quality of the acting is superb. The overweight, out-of-shape Philip Seymour Hoffman, in his last starring film as the rumpled, haggard Bachmann, provides an almost mute performance, a sharp contrast with the more voluble Bachmann of the novel. Hoffman invests his character with a world weary quality often displayed through his poker-face and body language, and a coiled anger spoken in German inflected English, which finally explodes. The actor virtually disappears into the role as he brings to it a gravitas that is carefully measured and understated. His portrayal is a fully rounded portrait of courage—to pursue his vision regardless of the professional and personal costs—and dissolution. When he wakes up in his grotty room and fortifies himself with a glass of whiskey, it is hard to separate the character from the actor. The supporting cast is uniformly stellar. When Annabel Richter is forced to compromise and her initial idealism melts away, her anguish is subtly expressed on Rachel McAdams’ face. Making the strongest impression among the German actors is the brilliant Nina Hoss (who was luminous in Barbara) as Bachmann’s trusted deputy—their brief exchanges and body language suggest a personal history—who can convey volumes through her eyes and quiet words. Unfortunately, the other German actors and members of Bachmann’s tech team are either underused or their work was strewn in the cutting room. One does not expect a Le Carré novel or film adaptation to be a James Bond or Jason Bourne action-packed thriller replete with glamour, car chases, explosions and demonic villains. A Most Wanted Man is a sober realistic alternative about espionage and less violent than the masterful – albeit denser – 2011 Tinker Tailor Soldier Spy. Man is rather a meticulous slow-burning film where speaking and thinking generate the suspense. One of its themes—the tug of war over the "most wanted man" Karpov—is an unscrupulous game of chess in the name of international security. Although germane to both the novel and the film, the latter plays down the politics and focuses primarily on the drudgery of gathering intelligence and the characters who do the slogging, and secondarily on the tensions between rival agencies who often in reality do not trust each other very much. Although the film does not possess the same voltage intensity or suspense as Tinker, it is a finely crafted adaption of a political novel that showcases outstanding performances, especially from the riveting Hoffmann.